The control and security of trains is always a topic of extreme relevance, both for passenger and freight trains. 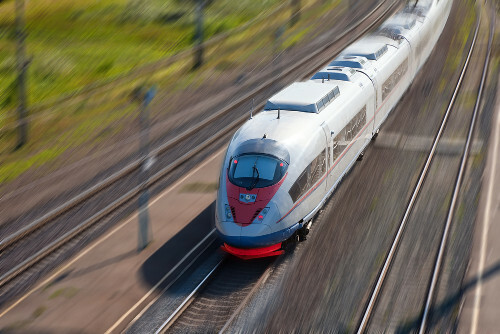 RFID technology offers various solutions for the control of railway vehicles. Generale Sistemi, for these applications - Railway, Railbound Transportation, Diagnostic - relies exclusively on semi-active technology and UHF ISO 180006-C EPC Gen2 by TagMaster, which develops a product line for use in extreme conditions (HD line, Heavy Duty), with tags and readers designed for applications subject to shocks and vibrations. Products designed for Harsh Environment installations that guarantee a safe reading regardless of weather and environmental conditions (dust, sunlight, snow, etc.) with reading distances greater than 5 metres at speed up to 400km/h. A safe and effective solution able to allow a precise monitoring in real time of the train traffic control and therefore greater safety. In conclusion, Generale Sistemi proposes the highest level products, adopted in the main rails all over the world, provided with the necessary certifications for a sector in which there are only high, guaranteed performance and indeed, certificated. This feature allows Generale Sistemi to be part of important international orders for the development of both passenger and commercial rail networks. Milan, London, Hamburg, Madrid, Taipei, Bilbao, Genoa, UAE are just some of the places where TagMaster devices are used for the Metro area, Mass Transportation, Light Rail and High Speed Transportation.